IT IS THE PARTAGAS FACTORY. You can find it at No. 520 Industria Street, just behind the Capitol building, in the heart of the city. The factory was opened in 1845 by Don Jaime Partagas and it has been making the cigars that bear his name ever since. 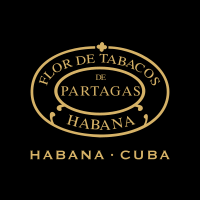 A Partagas is immediately recognisable by its deep, earthy flavour. The character of its blend springs from a selection of filler and binder tobaccos grown in the Vuelta Abajo region and chosen for their unmistakable richness of flavour and aroma. Partagas come in a wide array of shapes and sizes notably the Lusitania and the 8-9-8, a cigar that is named after the way it is arranged in its box. 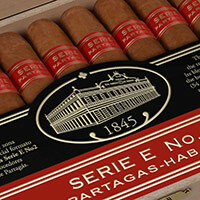 But perhaps the best known of all Partagas is the Serie D No. 4, the robusto size that formed part of the legendary Partagas alphabet series that dates back to the 1930’s. In 2005 a Piramide, the Partagas Serie P No. 2, was added to the range, which has fast become a cigar of choice amongst lovers of full-flavoured Habanos. In 2011 the Serie D No.5 and the heavy ring gauge Serie E No. 2 extended the alphabet once again. All sizes are Tripa Larga, Totalmente a Mano– long filler, totally hand made.